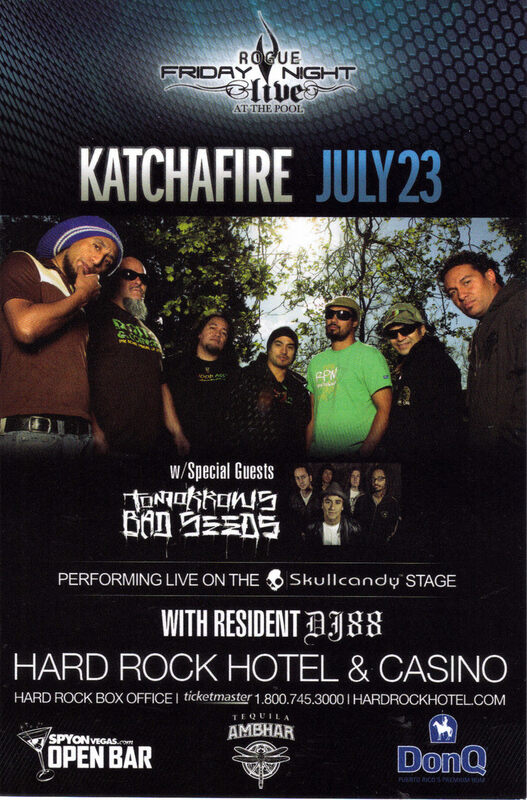 This is the official Promo Ad for New Zealand roots reggae band, KATCHAFIRE for their live performance on The Skullcandy Stage at Hard Rock Hotel July 23rd 2010 with special guests Bad Seeds and Tomorrows Bad Seeds, another Australian alternative rock band fronted by Nick Cave. Resident DJ88. 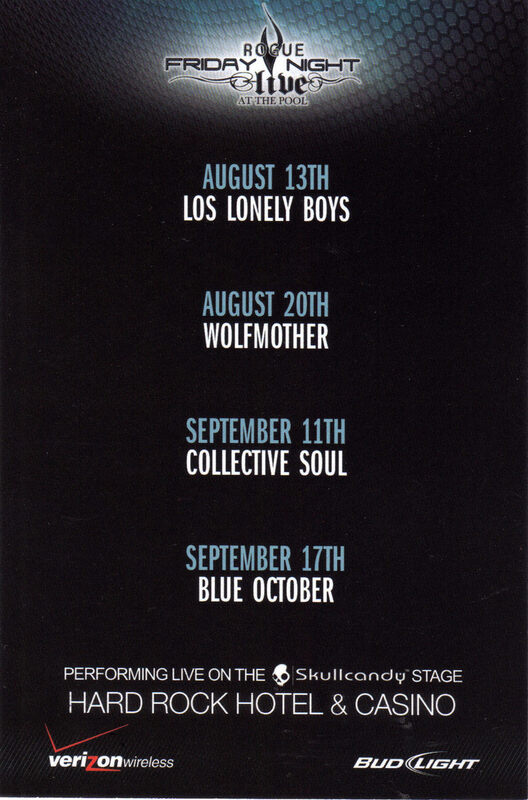 Katchafire begas as a Bob Marley tribute band in Hamilton 13 years ago before later writing and performing its own work. Card measures 6" L x 4" W Mint Condition Send email if you need additional details about this card. Buyer will be responsible for 2.00 shipping to anywhere in the USA Canada. International rates apply. Do visit the store for many more Las Vegas Collectibles daily. Thanks for stopping by!